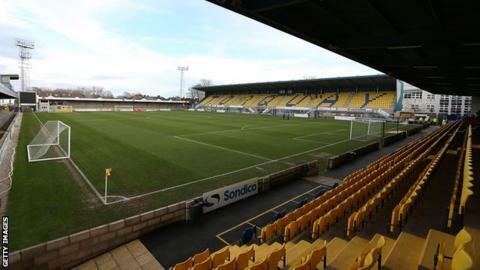 Torquay United's National League game against Braintree has been postponed after heavy rain left the pitch at Plainmoor waterlogged. The decision to call off Saturday's fixture was taken following a 1500 GMT inspection. No new date has yet been agreed for the fixture between the sides. It is the third postponement involving Braintree in recent weeks with home games against Wrexham and Welling United also called off.